R. J. Palacio’s debut novel Wonder is wonderful. It tells the story of ten-year-old August (Auggie) Pullman who was born with “a previously unknown type of mandibulofacial dysostosis caused by a autosomal recessive mutation in the TCOF1 gene,” or, in other words, he’s not “normal” looking. Auggie has already had twenty-seven surgeries in an effort to correct some of the problems, but he has come to terms with the way he looks. He doesn’t like it, but he accepts it. August lives with his parents and 14-year-old sister Olivia (Via) in North River Heights, which is located at the very top of Manhattan. His parents have decided to take the very brave step of enrolling August in school for the first time. Until now his mom has been home schooling him. They are all hyper-aware of August’s stare-inducing face, but his mom and dad also understand that they can’t protect him forever. I sat with him that first day because I felt sorry for him. That’s all. Here he was, this strange-looking kid in a brand-new school. No one was talking to him. Everyone was staring at him. All the girls at my table were whispering about him. He wasn’t the only new kid at Beecher Prep, but he was the only one everyone was talking about. Julian had nicknamed him the Zombie Kid, and that’s what everyone was calling him. August’s favourite day of the whole year is, you guessed it, Hallowe’en. He says it’s “the best holiday in the world. It even beats Christmas. I get to dress up in a costume. I get to wear a mask. I get to go around like every other kid with a mask and no one thinks I look weird. Nobody takes a second look. Nobody notices me.” If that doesn’t break your heart, I don’t know what will. Olivia is also spreading her wings and her fierce love for her brother is tinged, realistically, with some adolescent id. For example, she doesn’t want her parents to attend a school play because they’ll bring August and she doesn’t want her new high school friends to see him. Despite understanding the extreme nature of Auggie’s problem – she would never call it deformity, but there you have it – she is starting to want some of her mother’s very August – focused attention for herself. Still, she is a good sister. August is smart and funny and well-supported by parents who love him and understand that they cannot shield him from life’s cruelty forever. He is beginning to make his way in a world that may not always show him kindness and yet he is so buoyed by the love of his family and the support of friends, one can only imagine that he will be just fine. If the ending is perhaps just the teensiest bit instructional, the proffered lesson is one I can get behind. We must be kind to each other. 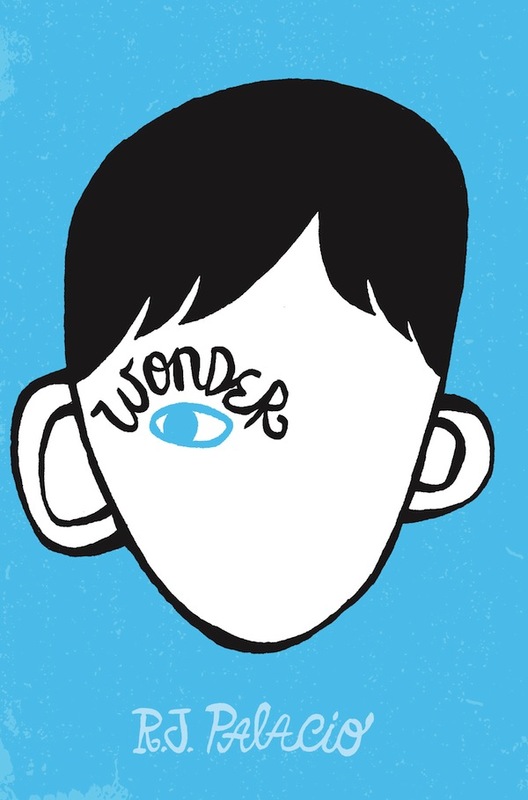 Cynical readers might also argue that Wonder‘s ending is a bit saccharine. I disagree. Instead, I agree with Auggie’s mother when she tells him: “You really are a wonder.” And so is this book. This entry was posted in Uncategorized and tagged 2013, highly recommended, teen by Christie. Bookmark the permalink.